Barbara Ziskin Gray: Starting this rescue was the culmination of a dream she began as a child, when she first learned of the fate of many of the animals that end up shelters. She vowed that when she grew up and had her own home, she would open her doors and bring the animals home so they would not have to be euthanized. She got her start in rescue 10 years ago when she found a homeless mom cat and her 5 kittens living under a stairwell at her daughter’s school. She made some phone calls and found a rescue group who would help her and her journey began. 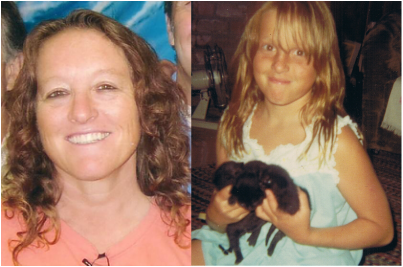 She has since volunteered tirelessly for two rescue groups, plus the Sonoma Humane Society and Forgotten Felines. She not only manages the business and financial end of the rescue, but goes out into the community and rescues cats from the streets & fields as as well as shelters. She fosters cats and kittens, often taking in the sickest and most at risk animals and nursing them back to health. She handles relations with our pet stores, and local animal shelters, drums up donations, orders all our food, litter and medical supplies, mentors new fosters, and works tirelessly at mobile adoption events. In her “spare” time, Barbara continues her 25 year career as a trust and probate paralegal. She is married with three adult children, and helps raise her grandson who lives with her part-time (and is our junior kitten wrangler). She is also joined by her beloved dogs, Cassie and newly rescued blind Rottweiler, Charlie. Meagan Nelson was born and raised in the Bay Area. She spent most of her education being home-schooled by her parents who allowed her passion of animals to be a main focus of her growing up. Throughout her youth, she rode and trained horses, volunteered for a touring petting zoo and did 4H. Now, her passion is for animal rescue and furthering the education of spaying & neutering, animal nutrition and how to help others to get involved. Meagan started rescuing at a very young age. After doing independent rescue with small dogs, she found a local rescue looking for fosters for kittens. Her first thought was "I can play with baby kittens all day long!" She received her first litter of 4 week old kittens a few days later and the rest is history. Needless to say, she soon discovered that those kittens would open many doors for her. 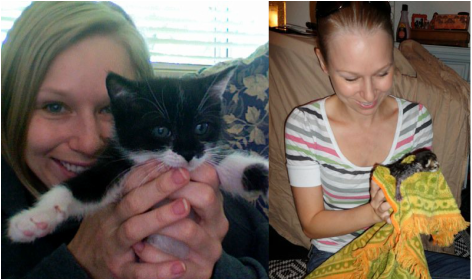 After a few years of volunteering for other rescues, Barbara and Meagan decided to take the leap and start their own. Neither of them ever thought that No Boundaries would become the growing success it has become.